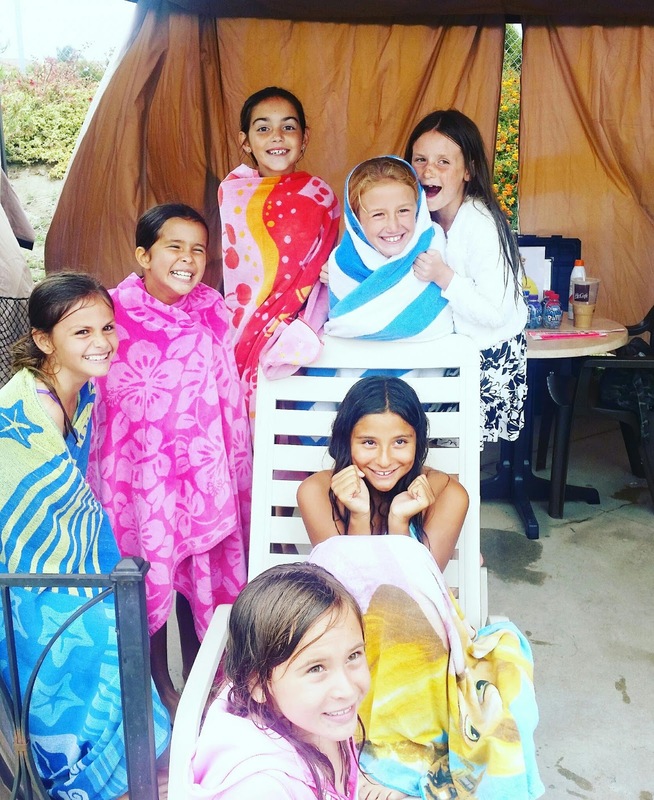 Keep Cool This Summer Locally in Irvine! Summer is totally here! Next weekend it is supposed to be over 100deg. Wait, What?! We just had a team building event at Boomer's Buccaneer Cove for our Strikers OC Club Soccer team. It was perfect for all ages and everyone loved the water park play fun. 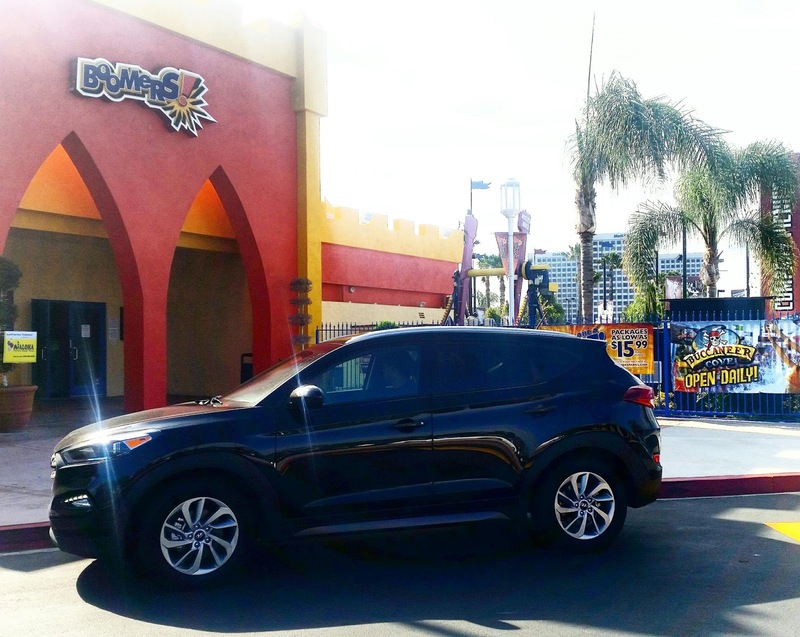 We packed up our +HyundaiUSA Tucson test drive with all of our gear and we were ready for the day to play! Easy check in at the party station inside the arcade towards the back center and walk directly to Buccaneer Cove entrance for wristband scanning and entrance. So Easy. While we were there we saw at least 5 birthdays going on and we did not feel over crowded at all. there was plenty of room in front of the water play to sit and watch the littles splash while the bigger kiddos went on the slides. We did have a Cabana, that I would totally suggest, it helped with the quiet time my son needed and also gave the girls a place to sit int he shade and eat their pizza we ordered. 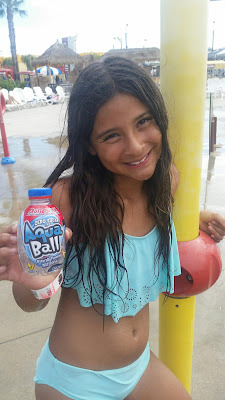 Food and drinks (aside from water) are not allowed inside the water park but we brought in some waters and some flavored water for the kids from +AquaBall that are okay. In all honesty I always wanted to just get a piece of pizza or a hot dog after playing all day in the water and that's what we did.. you can order all of that to be brought out to you or picked up at the entrance of the water park. Easy Peasy! Everything is super convenient and the staff is amazing. We were asked multiple times if we needed anything, needed help with anything and we were brought cold water with cups and pitchers as needed. 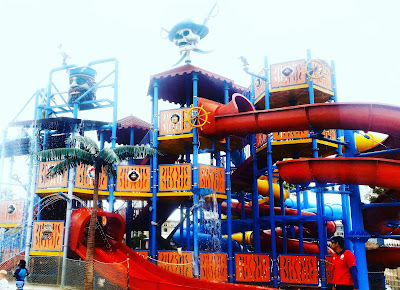 The staff that life guards and monitors the slides, water play and mini slides for the littles.. they are super. I can not say enough about the patience and kindness while keeping control of all. 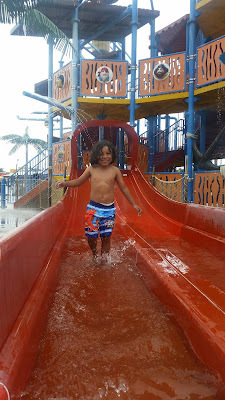 I had even told one of the staff that my son was on the Autism Spectrum and he may need to let me know if he needs hep but he said, "Nooo he will be fine, I have worked with special needs for years and have so many nieces and nephews that I have a lot of patience and training.." we both laughed and as I watched closely just in case.. he totally had it handled, so I was able to play with and or just sit there off to the side on a chair watching my boy enjoy himself! It was so much fun for everyone that most of us stayed past the party time we scheduled since the wristbands are good all day and so was the cabana. You can get all the details on the fun you can have too at Boomers and Buccaneer Cove here! 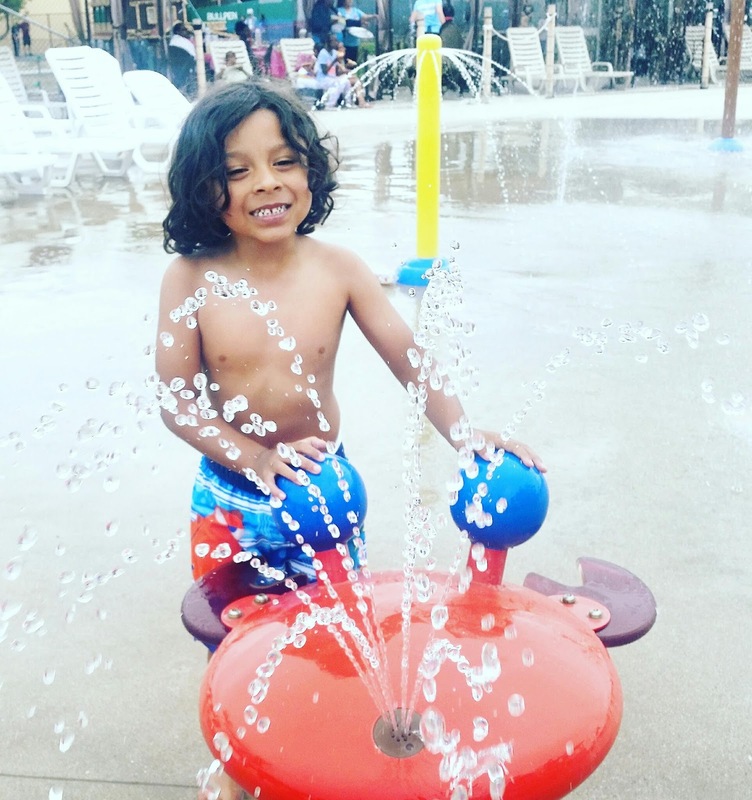 book Parties, Family Time, or just go for the day to beat the heat... super cheap at under $20 for all day play and those who don't want to or won't slide.. it's just $5! I was just advised I can run a giveaway for some Summer Keep it Cool FUN!